JSWSTEEL (985) - Already posted on 10th Mar. itself click here see that post. And above 222-232 mega break out going to pan out, If it happen, will post the mega upside target. 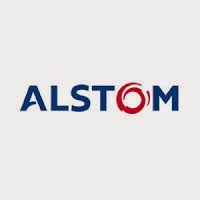 ALSTOMTnD (221) - Posted on 23rd Dec. 2013 "Resistance 193-198 , But trade and stays above that next Upside target 217-223, But mega break out going to happen above 217-223 If it happen, will post the mega upside target "
In the last ten trading sessions, repeatedly attacking 217-223 levels (made highest high 227.60 on 20th Mar.) but never closed above 217-223 level. ABAN (506) - Readying for a big up move. Regarding this already posted on 21st Feb itself.